Organizations need to get out in front of new data protection legislation like GDPR, giving special consideration to communications technology. 2018 will usher in a new era of data protection as the European Union General Data Protection Regulation (GDPR) comes into effect on May 25. How does this impact a business based in North America? The GDPR legislation took a broader, more encompassing view of data protection and focused regulations on the results and outcomes rather than outlining a specific cookbook for data protection. This modern shift in view on data protection practices means that any business that collects information about an EU citizen must comply with the GDPR regulations. 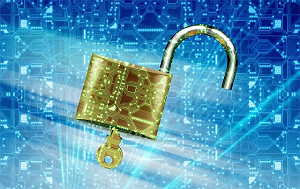 A secondary desired outcome is that organizations will develop security practices to protect all the company's important data, understanding that protecting personal data is just the tip of the iceberg. This also means that the regulations on security expand beyond the IT department and encompass the entire organization, with significant impact on the world of communications technology. Many organizations still focus their sales and business interactions to North America, which of course means they may not be affected. But wait, other governments like Canada and some U.S. states are following suit and have started drafting parallel data protection legislation, some that will come into effect later in 2018. Most security experts are expecting that over the next three to 10 years, data protection legislation is going to get tighter as poor security practices continue to have greater consequences and negative impacts. Businesses can play the wait-and-see game, and risk potential fines and business failures; or they can get ahead of this shift in the security landscape and start taking a holistic approach to addressing data protection within the organization. Getting out in front of the issue will certainly reduce the compliance risk for the organization, but it can also have other business benefits like allowing the organization to do a better job of protecting key assets (e.g. intellectual property); reducing the risk of a security breach and negative PR, remediation costs, and liability that accompanies the breach; and better protect the company's revenue streams. Too many businesses today take a very narrow view of security and do not take a holistic approach. Businesses are going to have to start looking at security through data protection glasses. A piecemeal approach is more costly, as management and operations become more difficult. Organizations need to follow the "bit train" of data as it moves through and outside the organization. They need to consider what data is collected; how the data is collected, used, shared, stored, and controlled; and whether the data should be collected or stored at all. Breach detection and response requires businesses to clearly understand the data they need, collect, and process so they can manage the security of the data whether it is in transit or at rest (stored). This brings communications technology right to the center of the data protection world, as it is one of the primary methods of collecting this information and using the data to provide services. Most people immediately think of the call center and CRM systems (see "GDPR: What U.S. Contact Centers Need to Know"). These are in scope, but so are other systems like voice, IVR, chatbots, team collaboration systems, messaging apps, social media, and networks that these systems operate -- any place personal data is collected, stored, or transmitted. Modern communications tools are evolving to team collaboration tools that tend to automate the collection and storage of data. People may switch communications tools over the course of a conversation, and while the channel may change, the compliance requirements do not. Although most people are focusing on customer data and communications, this also significantly impacts employee data and communications. Of particular interest to the communications industry, artificial intelligence (AI) and machine learning (ML) are becoming established in communications processes and are making decisions automatically. The GDPR grants individuals the right to know when a decision was made automatically regarding their personal data and requires their rights to be maintained. Many businesses have shifted communications technology to hosted or cloud-based systems. Many believe this also transfers the responsibility for security and data protection. Although the cloud or hosted system provider does have responsibility as the "Processor" of the data, the business still is responsible for the collection and management of the data as the "Controller." The Data Controller is responsible for coordinating with the Data Processor to ensure the data is being processed, stored, and monitored in a way that maintains the protection of the data. These data protection legislation changes are going to impact businesses with EU citizens as clients, but also the business' supplier ecosystems and internal company operations. Eventually most companies will need to abide by the new data protection standards, so don't put off getting in the know on what your organization needs to do to be compliant. Learn more about Security/Compliance at Enterprise Connect 2018, March 12 to 15, in Orlando, Fla. Register now using the code NOJITTER to save an additional $200 off the Early Bird Pricing or get a free Expo Plus pass.